Here’s a little word study for you. In the NIV Bible, 2nd Corinthians mentions “Church” 10 times. It speaks of “Grace” 11 times. “Love” is mentioned 12 times. And the word “Boast” shows up 22 times. Paul uses that word in all his letters, but in 2 Corinthians, it’s a major theme. He boasts about one church or another. He boasts about God’s power. He even boasts about what has come about from his own suffering. If it can point to God, he boasts about it. That’s the point of his boasting. Not to lift himself up or make himself look good, but to highlight the work of the Lord. Worldly boasting is bad. Heavenly boasting? Very good. So, how are you doing, boasting wise? Have you done your share of bragging for Jesus this week? Are you part of a church that is making a difference, reaching your neighbors, and serving those in need? Who are you telling about it? I think my main avenue for boasting is Facebook. I have 1,309 friends on Facebook. High School classmates. Current and former church members. Colleagues. College friends. Family and a lot of people I probably don’t really know. Maybe 50% of my FB Friends are church-goers. Another 30%, I would guess, are lapsed or disillusioned Christians. 10% are agnostics, and some atheists, and the last 10% are somehow outside these categories. Stories about hypocritical Christians who look down their noses at those who are different get a lot more traction than “healthy” Christian stories. Accounts of Pastors greedily asking for money, or bookkeepers skimming off the top reinforce a negative view of the Church’s relationship with money. Denominational fights over issues such as abortion and homosexuality present the Church as an anxious and contentious place where other vital ministry takes a backseat. And so on. There is very little above to boast about. In fact, I’d guess the Church’s PR factor is as low as its ever been. If that’s the public image the Church offers the world, it’s no wonder our congregations are shrinking. So here’s what I do. I take pictures of everything exciting, vital, or worthy that my church is doing. Special events and services, mission opportunities, partnerships in the community, and so on. And after every event, I post the pictures to Facebook. I want all those Christians, disillusioned Christians, atheists, agnostics, etc. to see what the Holy Spirit is doing through my church. I want as many people as possible to see The Church alive and thriving, living out its vision (although never perfectly), and changing lives, including our own. God forbid I ever run out of reasons to take pictures. This is me BOASTING! Now some folks may think I’m boasting for myself, lifting up my church or myself for bragging rights. Others may think I’m oversharing. I suppose that’s the risk. I suppose that’s part of why Paul brings up boasting so many times in 2 Corinthians. He wants them to understand his true motivations. I try to convey that as best I can. Facebook may not be your thing. Instagram is an excellent alternative, and reaches a younger crowd. And if social media is not your preferred method of boasting, feel free to share your enthusiasm with the crew that meets for coffee at the McDonalds, or the folks in your Pilates class, or in your office. Sharing the excitement of your church reaching out and touching God’s Kingdom is nothing to be silent about. It’s the way things ought to be. The more we boast, the more the true nature of the Church can be revealed to the world. By the way–I’ve got room for more friends! Friend me at https://www.facebook.com/toddmit! Paul could have written a whole book about it. I could go on, but honestly, I’m kind of tired of the litany of “facts”. After a while, it all starts to sound…facticious. I long for the day when facts were, you know, facts. 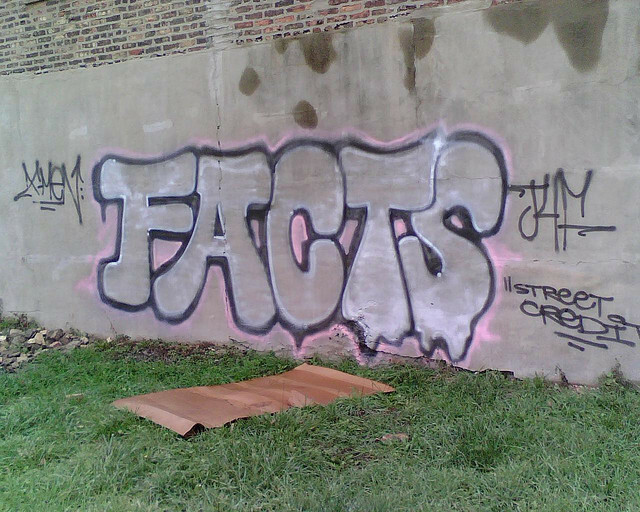 As a kid, I believed in facts. If a scientist or a researcher or a politician told me something was fact, I believed them. There was something comforting about the solidity of facts. Something that gave the world some structure. A platform you could attempt to build a life on. And then…I don’t know if it was just me growing up, or maybe the world drifting into post-modernism, but facts started to become slippery. Invariably, for every rock solid belief I held, there was someone else in the world holding an opposite belief just as tightly–clutching onto a different set of facts. The same is true in Christianity. Just look at the fracturing of the Protestant Church. Now we have hundreds, even thousands of denominations, all claiming to know the facts about belief. (As if such a thing were even possible!) Even within my denomination, the United Methodist Church, individual churches and members may believe very different sets of “facts” when it comes to issues of women in ministry, homosexuality, capital punishment, salvation, etc. 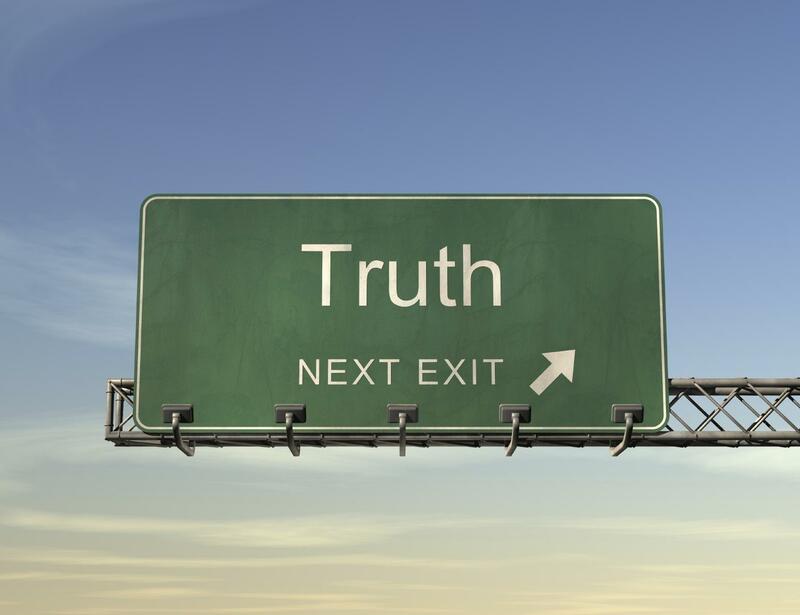 Truth is mysterious, never fully knowable, and somehow able to transcend all the various facts we attach to it. Truth, for me, is the reality of God’s Kingdom that I can never fully comprehend, but can pledge my every breath to. Truth is potent and powerful. When I live with Truth first, and facts second, I’m able to see that the person across the spectrum from me may still be in touch with some Truth that I can’t fully see. When I live with Truth, I’m able to see The Issue behind the issues, namely the spread of God’s Love into this world. When I live with Truth, I’m more comfortable saying three magic words: “I don’t know”. When I try to live with Truth, life is less about building platforms, and more about building relationships. Facts are building blocks, and building blocks can be helpful. But not when they’re used to build walls between people. Still, I can’t imagine a world without facts. I don’t think I’d want one. Facts certainly have their place. But a world without Truth? The would be worse than a world without bacon.